MOVE IN READY ! 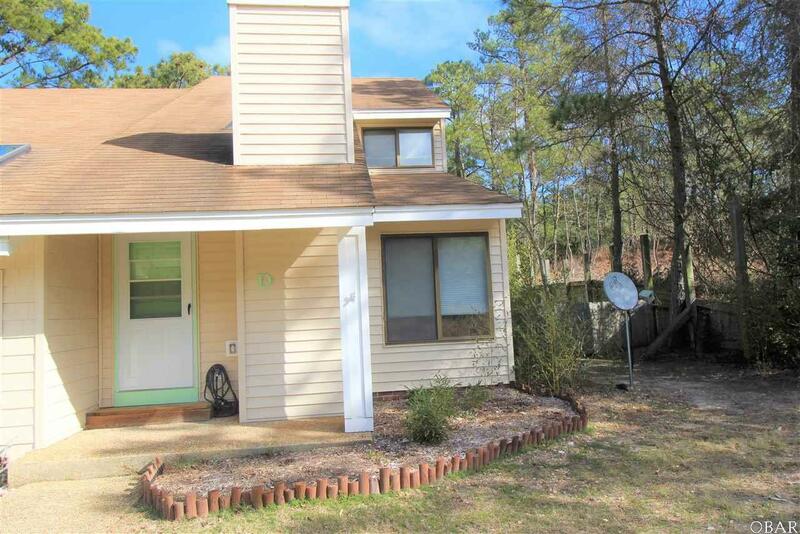 Central quiet location in the heart of Kill Devil Hills. Rustic Woods South is comprised of just 4 properties. 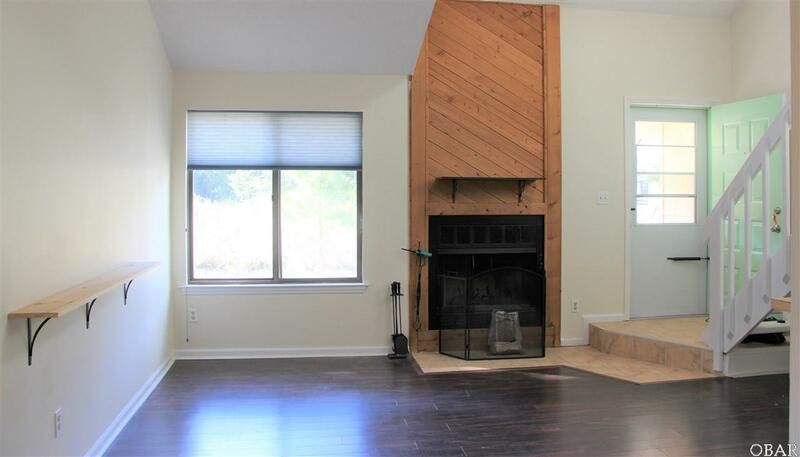 This charming end unit condo/townhouse has a fenced side and back yard and a covered front porch. An open floor plan with tiled entry greets you and the cathedral ceiling and skylight makes the living area feel bright and spacious. A cozy wood burning fireplace tops off the living room and warms the home during winter months. 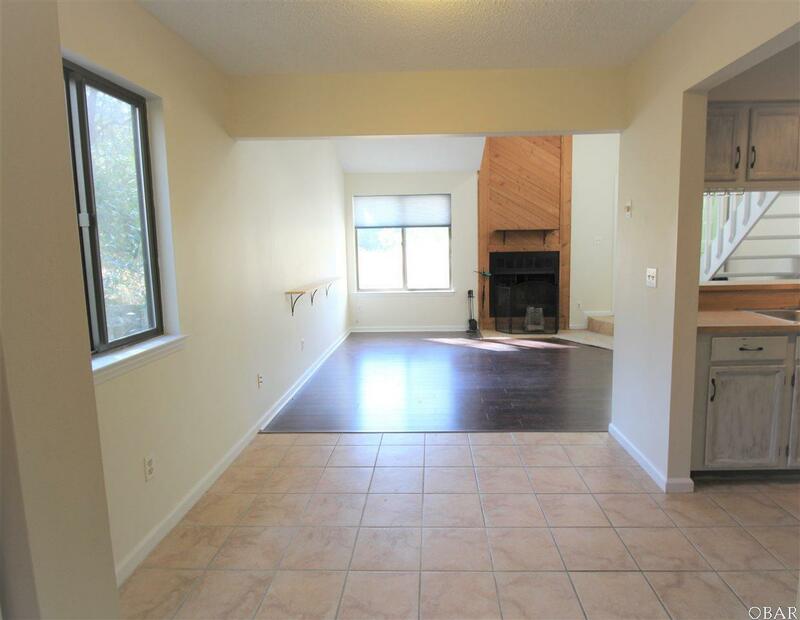 All Bedrooms have been newly carpeted in 2019.Additionally, the first floor bedroom has a large closet and sliding glass doors providing access to the wooded back yard and outside storage room. 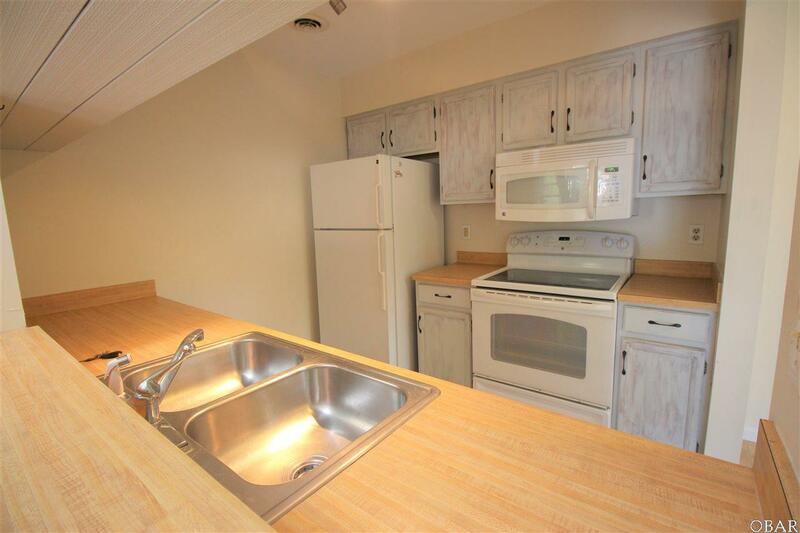 The kitchen offers GE appliances,pantry, double sink and eat in counter breakfast bar. Both full baths have tiled floors, shower/tubs, bathroom vanities with storage and brand new sink faucets. An indoor laundry room with full sized newer appliances makes one level living easy. New HVAC unit installed in the summer 2018 . Association Fee is $255 a month and covers water, sewer and all common insurances. Listing courtesy of Kelly Dean of Buy The Beach Realty.